So the train is more of a welcoming committee rather than a means of transportation, but still a beautiful addition to the park. It’ll be especially striking when James and Oliver Phelps, Bonnie Wright and Tom Felton arrive for the spring 2010 grand opening. Those are the folks confirmed to attend the momentous event, but Muggle.net expects the main players as well as J.K. Rowling to be on hand too. 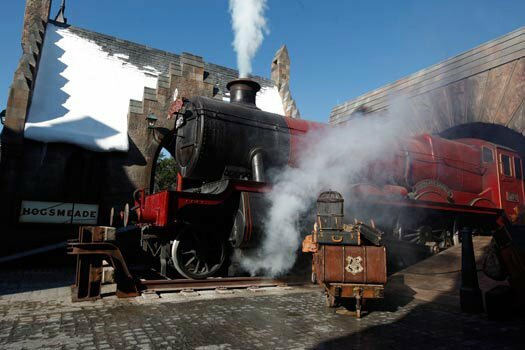 Check out the Hogwarts Express below and expect to see more actual photos (not concept art) hit the web as we approach opening day.